Today's guest poster is Lindsey from Something's Gotta Give. 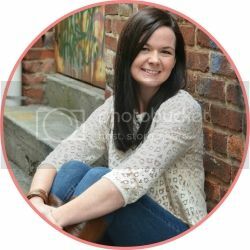 I found Lindsey's blog a few months ago and have thoroughly been enjoying her witty posts. Please go check her out and don't forget to leave her some love! P.S. If you are stopping over from Tiffany's I wanted to say a quick hello and welcome! 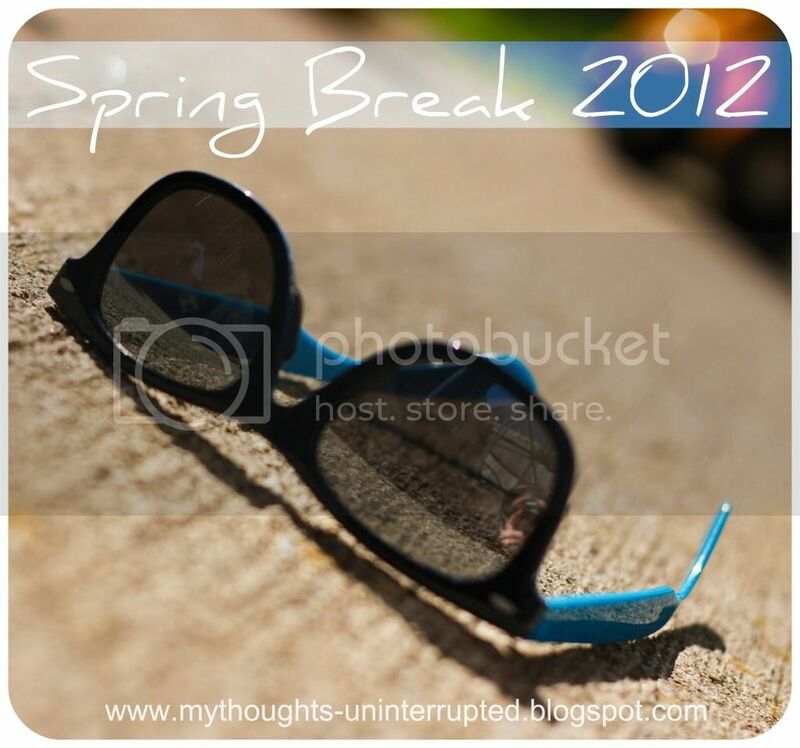 I'm currently in the middle of a guest posting series for my little bloggy "spring break". 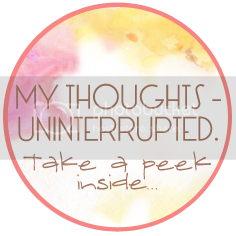 Be sure to check out some of my most popular posts on the right hand side bar and while your at it, check out some of the lovely ladies I'm featuring this week! 1. Flower beds all over town sport the aroma of freshly manured soil. 2. The awakening whirl of lawn mowers can be heard in the early mornings and during children's nap times. 3. Each deep breath of fresh air is a deep inhalation of pollen, causing sneezing fits and puffy faces everywhere. 4. Feared and loathed insects are having millions upon millions of babies. 5. Blood-thirsty mosquitoes are gearing up for backyard barbecues and summer pool parties. 6. School-aged children face a battery of high-pressure, yet unnervingly irrelevant standardized tests. 7. People who haven't watched a single college basketball game all season are filling out March Madness brackets and using the word "seed" without quite understanding what it means. 8. We are doomed to suffer months of reruns and to wait with baited breath between the season finales and fall season premiers of our favorite TV shows. 9. Spring Break reminds parents that they are too old and too responsible now to have the option either to go crazy or to do nothing during Spring Break ever again. 10. 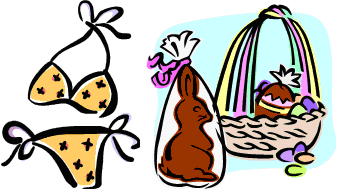 Devilish stores taunt us by simultaneously displaying eye-catching bikinis and hundreds of pounds of Easter candy. Yes, spring is on the horizon...good luck with that. Thanks for posting today Lindsey! I love this. I can't tell you how much I'm dreading mosquitos...ick! So true Lindsey! Spring is def here in Texas! I absolutely dread when I see the swim suits come out just as winter is finally coming to an end. That moment always comes too soon! HA! Yay--glad to see you here L! What a funny post. It's so true, and why yes, I have watched part of a couple of college basketball games this season but find myself planning the next few weekends around "my bracket." A Tisket, A Tasket - What's in E's Easter Basket?